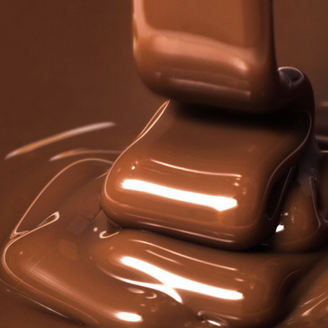 With an incredibly rich flavor and smooth texture, it’s no wonder everyone’s favorite indulgence is milk chocolate. The best chocolatiers have mastered the perfect balance of sweetness, creaminess and cocoa to offer a melt-in-your-mouth experience that’s won over the mature and unsophisticated pallets of adults and children alike. That’s why Royal Wholesale Chocolate supplies only the top brands of milk chocolate, ensuring that you experience the very best blend in every bite. Satisfy all of your chocolate desires with our distinct selection of world-class brands featuring Peter’s, Ambrosia, Wilbur and more. With our easy online ordering, you can buy bars, wafers, drops and more all in bulk with just a few easy clicks. Make your selections and save your favorites for easy reordering for special events, upcoming holidays or simply personal enjoyment, wherever and whenever you decide. Whether you’re looking for milk or dark chocolate, bars or wafers, let Royal Wholesale Chocolate help you satisfy all of your bulk chocolate needs. Item #990 5lb/box Approx. 130 buds per pound Approx. 650 buds per box.